Rumors alla. 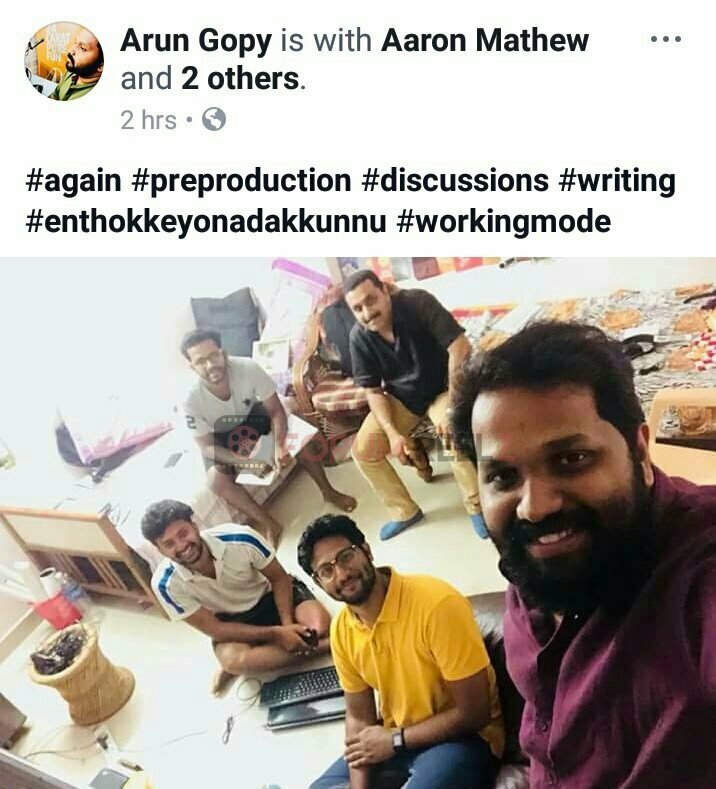 Arun Gopy thanne script. Appol ee karakkambi okke correct aakum Alle?? Glad to announce the next project from Mulakuppadam Films and it's an honour to work with #Mohanlal again after #Pulimurugan. The movie will be directed by Arun Gopy. It is with utmost pleasure and pride that I share this news with all of you. Ever since our childhood, Lalettan has been one of the all-time heroes for us Malayalis. Needless to say, it is every director's dream to work with The Complete Actor. I take this opportunity to announce my next venture, with Mohanlal Sir. It also gives me great joy to unite once again with my pillar and support Tomichayan (Tomichan Mulakuppadam). I specially thank Antony Chettan (Antony Perumbavoor) for his never-ending encouragement and backing. This project is not complete without my close friend Noble Jacob, who I will be associating with once more.